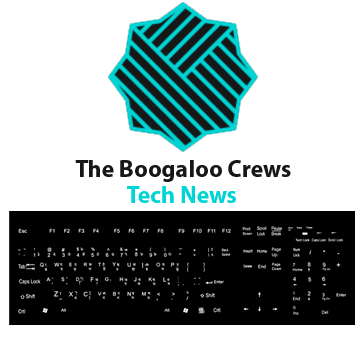 Welcome to the first edition of Boogaloo Tech News! In an effort to maintain the tech forums and provide a medium of discussion for multiple topics, I have decided to write up a weekly news report summarizing the news running up from last week to the following Monday. This first post will be rather light, but fear not, for the news is always spicy and fresh. Links to the sources will be included in the headers detailing the topics discussed. Without further ado, let's get right into the tech news for the week of 3/4/2019-3/11/2019! Arjuna Siva, a former engineer at Apple, has testified to the court in a patent lawsuit involving Apple and chip manufacturer Qualcomm, in which the latter sued Apple for using its Intellectual Property in the iPhone -- namely related to things like resizing photos and charging -- without paying the chip giant the royalties that it requires companies pay to use the tech. The most recent episode in this multi-month epic has Apple attempting to prove that one of their former engineers -- Siva -- was a co-inventor of the patented technologies it is being sued over, but Siva testified that he had only come up with the ideas for Qualcomm and didn't invent them. Apple is still arguing that Siva co-invented the IPs, however, and it will be up to the courts to decide that matter in the end. This follows other blows to Apple including an injunction in Germany which forced Apple to exclusively use Qualcomm modems over that of Qualcomm's competitor, Intel, and one in China, which the manufacturer is trying to bypass with system updates to satisfy the claims of the injunction there. Chip manufacturer NVIDIA announced on Monday that they were purchasing datacenter giant Mellanox Technologies for $6.9 billion, outbidding fellow chip manufacturer Intel's $6 billion bid for the company. NVIDIA is presumed to desire the company to enhance its own datacenter offerings, which include graphics cards clusters with NVIDIA's fabled Tensor cores for AI acceleration and Ray Tracing Cores for Real Time Ray Tracing applications. Benchmark results for a graphics device codenamed "RX 66AF: F1" leaked on benchmark site Compubench. The results reveal that that this GPU has 20 Compute Units (CUs) and roughly matches the performance of the RX Vega 56, which came with 56 Compute Units. The caveat to this, however, is that compute performance -- a traditionally AMD-friendly performance metric -- is slashed as a result, only matching the lower tier RX 580. This is theorized to be the result of the Navi architecture, the next generation AMD GPU architecture which is believed to be this device, being made for gaming, with the next generation consoles in mind. These results are still exciting, however, due to the fact that this GPU has only around a third of the maximum Compute Units enabled by AMD's design of the architecture, which enables up to 64 Compute Units. A higher CU count GPU could match NVIDIA's higher tier offerings, which have proven to not be all that popular due to their vastly inflated costs compared to the previous generation. In an interesting turn of events, Devil May Cry 5 has already seen its DRM, Denuvo, cracked after Day 1. It isn't due to pirates reverse engineering a DRM-Free executable, however, but Capcom themselves providing the executable straight through Steam. Whoopsies! Shortly after knowledge of the DRM-free branch, accessible through Steam's game options, was leaked, the publisher quickly rectified the issue and removed access to the DRM-free branch. The damage was already done, however, and the executable was quickly circulated online, with a method to downloading it through Steam still being known to work. Performance metrics were run between both versions of the game and found that the Denuvo executable delivered a hefty performance drop compared to its DRM-free brother, and the news has the internet riled up over the purpose of DRM in an age where DRM tends to be cracked as soon as day 1 regardless. In a recent investor presentation, AMD confirmed the release of the Castle Peak Threadripper series -- Threadripper chips running off the Zen 2 architecture -- for a 2019 release. Zen 2 offers massive Instruction Per Clock improvements over its predecessors, Zen 1 and Zen+, as well as purported frequency bumps. What is known about Zen 2 is that it utilizes a design where there's 7 nanometer chiplets for the processor cores connected to an IO die that handles communication with the PCIE lanes, USB ports and so on. Astute observers during AMD's Computex presentation noted that the die for the consumer grade Zen 2 chips, which were shown by CEO Lisa Su, could hold two chiplets on the die, which can potentially result in 16 core consumer chips and 64 core High-End Desktop (HEDT) chips. 64 Core Server chips have already been confirmed with AMD's Rome lineup of Epyc processors. Chinese telecom and equipment giant Huawei has sued the federal government over claims that its ban on buying Huawei equipment is unconstitutional. This follows multiple bans from countries such as Australia, New Zealand and Poland also barring Huawei from selling equipment, although those bans apply specifically to 5G deployment. The company's claims lie within the National Defense Authorization Act Section 889, which it alleges violates Due Process provisions. The case bares an extreme resemblance to the Kaspersky Lab case, where Kaspersky's products were banned for fear of Russia using it to spy on the US. Kaspersky sued but its case was thrown out of court. It is unknown if Huawei's case will meet a similar fate at this time. And that's it for this week's Boogaloo Tech News! I may expand the format later on to include more stories, but as it is, I feel like providing summaries for the count presented in this post is a sufficient enough amount to spark some interest. On top of discussion over these topics, what would you like to see as this format evolves? This was a great idea! I think you can format it in a way that's easier for readership. Perhaps quotes to make it more "stylish", and including other tech like phones, laptops and other techy stuff we plebs don't have too much knowledge on. Quote: Huawei has faced intense pressure from President Donald Trump’s administration, which claims the company’s equipment could be used for espionage by the Chinese government. The tech giant is also facing criminal charges from the Justice Department, which has accused it of stealing trade secrets and skirting U.S. sanctions on Iran. The U.S. government has also tried to persuade allies against using Huawei gear. Not that I expect anything from the Trump Administration, but are their basis have any grounds accusing the products as such? Or it becomes it's "China" and thus, frame it as an security risk? I don't have much to say other than this is a good recap of the news, Freak.